The Greater Peterborough Chamber of Commerce has announced the finalists for its 2018 Peterborough Business Excellence Awards, recognizing and honouring local businesses as well as individuals in the local business community. The awards will be handed out at a ceremony on Wednesday, October 17th at Showplace Performance Centre in downtown Peterborough. Tickets can be ordered online at www.excellencepeterborough.ca or by calling the Chamber office at 705-748-9771. Below are the finalists, listed alphabetically, in each of the 20 categories, along with the already-determined recipients of the 4-Under-40 Profiles award. 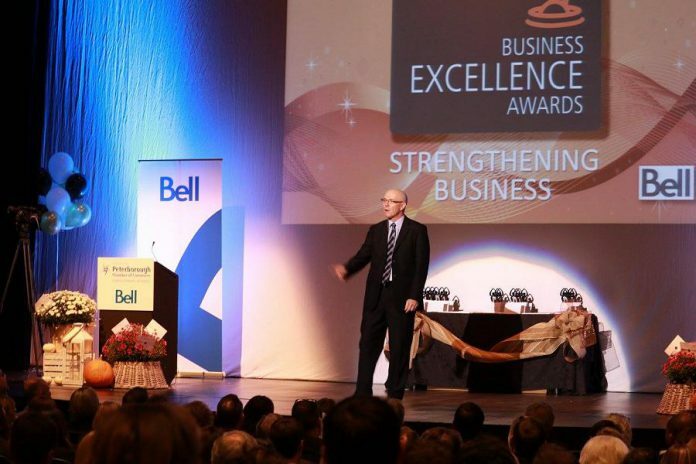 Finalists for the Business Citizen Of The Year (sponsored by Nexicom) and the Business Student Leadership Prizes (sponsored by Peterborough & the Kawarthas Economic Development) are not listed below. The winners will be announced at the October 17th ceremony.